Because summers in Seattle are magic! Climb trees, catch bugs, race through meadows, and explore the beauty of our local parks. 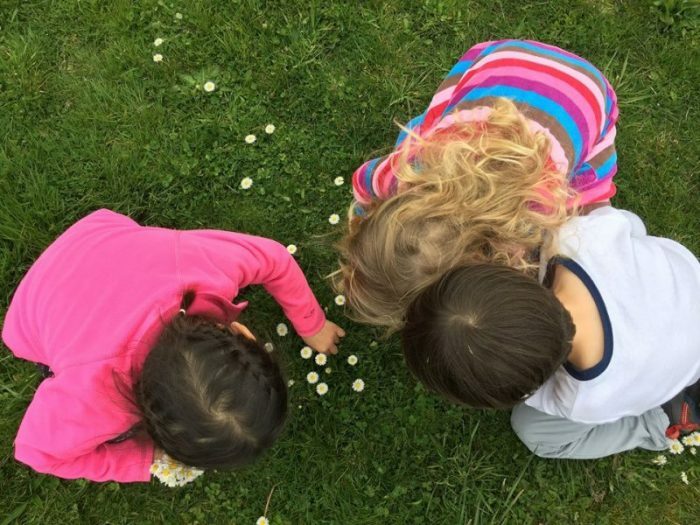 At Tiny Trees Preschool, we use outdoor classrooms to make quality education affordable for families and to give children a joyful, nature rich childhood – one full of play, exploration and wonder. This summer, we are inviting new families with children ages 4 and 5 (by July 2) to register for the July-August session at one of 5 parks: Carkeek, Jefferson, John C, Big Finn Hill and Cougar Mountain. This is a great opportunity to experience outdoor preschool during the best months of the year! Spaces are limited. Click here to learn more and secure your spot by June 18th. Classes start July 2 and end August 24 (no class July 4). *If you’re a currently enrolled family, registered for the 17-18 or 18-19 school year, please contact meri@tinytrees.org to learn about summer openings.